The Crew 2 Gets the Greenlight in June | Nerd Much? Ubisoft has released a brand new trailer, as well as the release date, for The Crew 2. And it’s just a few months away. In the sequel to The Crew, you’ll literally take on Motornation by land, sea and air. 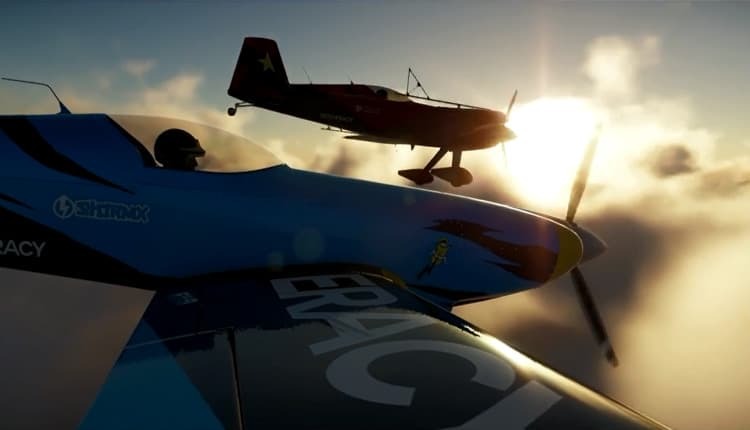 Unlike its predecessor, The Crew 2 features the ability to man both planes and boats, in addition to its cars, trucks and bikes. You’ll have the ability to join one of four different motorsports families throughout the game. By getting in with street and pro racers, off-road experts, and freestylers, you’ll gradually earn access to a wider variety of vehicles. The racing title also fancies itself as a “connected world.” Meaning, as you progress through The Crew 2 and earn racing titles, your friends playing the game will be notified and challenged with taking you down. The game is releasing for Xbox One, PlayStation 4 and PC on June 29th. Those that preorder will be entitled to the game’s Legendary Motors Pack. The DLC contains two vehicles, the Mercedes-AMG C 63 Touring Car 2016 and the Harley-Davidson Iron 883 2017. We’ll see you somewhere around ‘Murica in June.